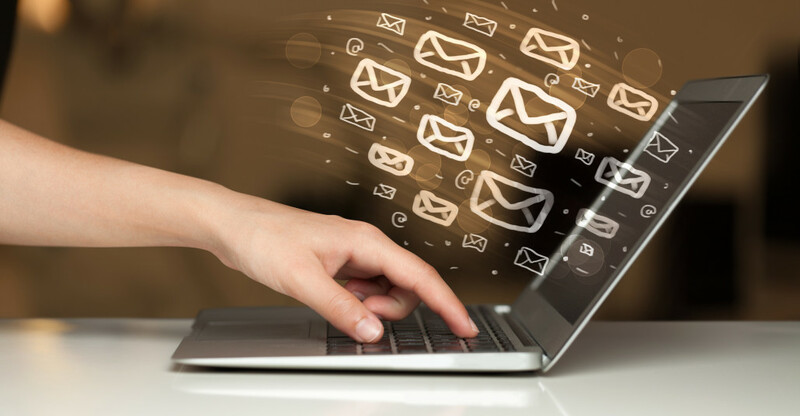 At the time of writing this blog it’s estimated that 269 billion mails are sent a day. Once we’ve cut out all the spam (say 50%) that is still an awful lot of communication. 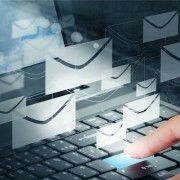 But how effective is email as a communication tool really? Put simply – it depends. If a mail is well-written, for example using the SUGAR approach, email can be an effective way of communicating information and sharing ideas. However, where email begins to struggle is when it includes or conveys an emotion. And we’re not talking about BIG EMOTIONS – most of us are aware sending emails when tired, upset, angry etc isn’t a good idea. Email communication also struggles when we try to convey much subtler emotions – irony, sarcasm, satisfaction etc. Why do we struggle to communicate emotions through email? In our conversations, we convey emotion through both words AND paralinguistic cues (body language, facial movements, expressions, gestures, emphasis, tone, intonation etc). In fact it gets more complicated as sometime the absence of an expected paralinguistic cue is what conveys the emotion, or a shared context, for example when expressing irony or sarcasm. When it comes to email we try to convey emotion through word choice, sentence structures and – whether you like them or not – visuals such as emojis (yes, they are now common even in business). However, scientific research shows that we tend to consistently overestimate our email writing skills. There’s plenty of research from social psychologists into how we communicate by email. One interesting piece of research shows that the limitations of email are often underappreciated when it comes to communicating an intended emotion – and that when we are writing an email we consistently overestimate how well our reader will understand what we are saying. Published in the Journal of Personality and Social Psychology, Kruger, Epley, Parker and Zhi-Wen Ng, ran a series of studies comparing how well an email writer evaluated their email with the reader. In one study 97% of the authors expected the serious and half-sarcastic sentences in their email to be correctly decoded. The readers successfully decoded just 84%. Another study compared overconfidence when communicating with their voice versus overconfidence when communicating via email. When communicating with their voice 77.9% believed their tone would be understood – whereas it was in fact 73.1% . A noticeable gap BUT significantly better than the email results where 78% believe their tone would be understood whereas it was actually just 56%! But it’s different when you are writing to a colleague who knows you well, right? Perhaps not – a third study looked at overconfidence when communicating with strangers versus friends. Surprisingly, the results suggested that familiarity does not translate into communication accuracy. And finally, yet another study demonstrated how email writer are consistently overconfident in their ability to be funny in an email! Why are we so convinced our emails are easy to decode? It’s easy to lay the blame with the reader. Maybe they read the mail too quickly, or skimmed it on their phone as they were walking to their next meeting. Maybe their language skills aren’t strong enough and they need to improve their business English. And dare we say it, perhaps they are just too dim to understand our well-crafted emails! In fact, it often comes down to our being egocentric. Studies such as Elizabeth Newton’s “tapping study” , where participants were asked to tap the rhythm of a well-known song they were listening to – and then estimate whether another listener would guess the song by their (clearly skilful) tapping (50% vs 3%), show how easily we convince ourselves that our reality is obvious. They also shine a light on how difficult we find it to imagine the perspective of somebody else (e.g. “I clearly meant it to be ironic – how could they not get that!?!”). So what can you do to help your readers interpret your emails correctly? Before you hit send reread your email with your “ambiguity radar” on. If something could be read in different ways then rewrite it, clarify it – or just delete it. If the mail does have an emotional component, leave it alone for thirty minutes and then reread with a fresh set of eyes. If something is a joke, use emojis. And finally, if you’re not sure, use the phone.